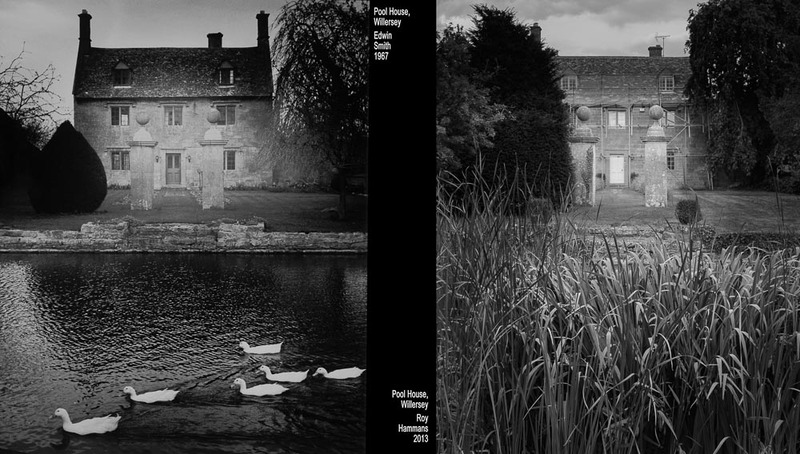 In this comparison between an Edwin Smith photograph of the Pool House, Willersey, Gloucestershire, made in 1967, and my view in 2013, the most obvious difference lies in the season in which each were taken. Smith’s is in spring, most likely, as the weeping ash tree on the right is just bursting into leaf and the water iris have yet to grow. Mine was taken in August. Other than that and the scaffolding surrounding the house, little has changed at the Pool House. 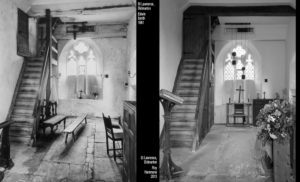 The front door is no longer half-glazed, the ubiquitous UHF aerial is mounted on the central chimney and the yew to the left of the house has been left to grow large and unkempt. Thank goodness there isn’t a Sky dish mounted on the front… I processed my image to approach the tonality in the original Smith photograph as it appears in ‘A View of the Cotswolds’. His image has a heavy dark vignette and the house itself is lightened to stand out (perhaps a little too much in my opinion…). 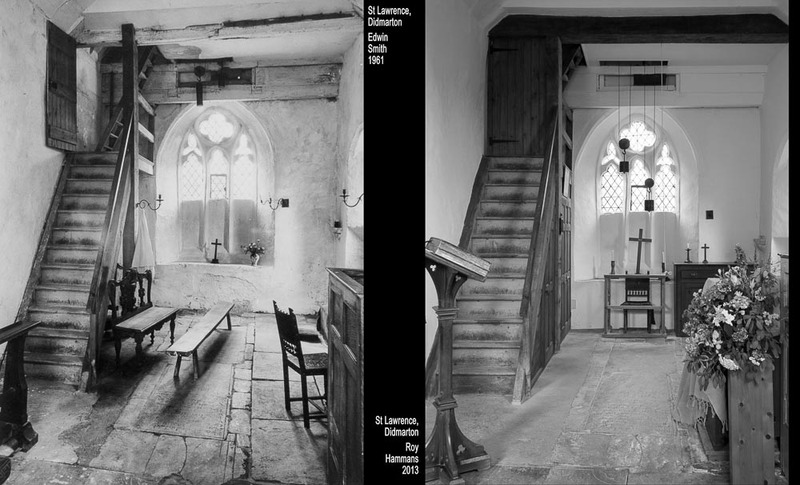 It is interesting to compare this published version of Smith’s with the copy displayed on the RIBApix catalogue (The Royal Institute of British Architects holds the archive and copyright of all Smith’s photographs). In the version they reproduce, presumably from a scan of the negative, the picture is not manipulated, just a grey house by a pond on an overcast day. Smith was not averse to considerable print manipulation. As the author of the classic ‘All The Photo Tricks’ in 1940, he was well placed to do so.